Well, I just watched my last American Idol tonight, and proved to be an intense one. In the end it was Phillip Phillips that stole the season 11 American Idol title from Jessica Sanchez. A lot of people are really pissed off that happened. I will post the result on Aeverine Zinn on YouTube later tonight or over the weekend. This is probably not going to sit well with Jessica voters, like myself and several of my other friends. 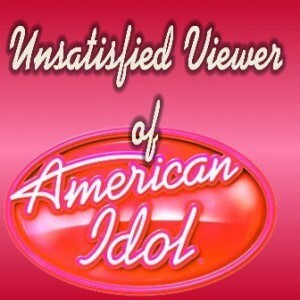 Clearly something is wrong with the American Idol voting and I belive it is time to shut down “Vote for the Worst. I even sent a very mean tweet to Mr. Phillips. Boy, will he ever be sorry. Robyn Matthewson (Ava’s BFF#1): Will grow a leg beard for breast cancer. Hillary Matthewson: I will be dunked in a dunk tank (either by Amber C. or Sheena B.). Holly Everman (Ava’s BFF #2): I get a pie thrown at my face. Lynsey Everman (my predecessor at NoSirGifts): Lynsey gets a nose pirecing and I will wear a bikini in a housekeeping job. Ava Zinn (yours truly): Obviously will stop watching American idol and I will grow a Leg Beard for Breast Cancer in October 2012. Wendy S. : I get my first driver’s license and get my first car. Jennifer M.: I will be biking from Marion to Ivanhoe’s in Upland. Heidi M. : No double date with Heidi’s husband and my prospective significant other. Jessica should have won! Thank the site vote for the worst for that screw-up America – Amanda S.